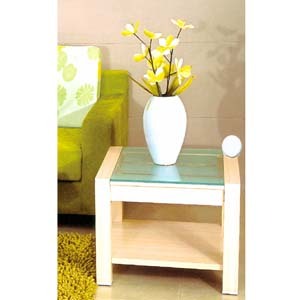 A Casual Style Beech Finish End Table With Glass Insert, That Will Brighten Up Your Living Room. Very Strong Construction. Easy To Assemble. Dimensions: 25.5 In. x 25.5 In. x 18 In. Please Scroll Below To Check Out The Matching Coffee Table In Our Related Product Section.